Doctors have accused the Government of neglecting heart failure patients after a study found survival rates have barely improved in nearly 20 years. The terminal condition – which is often mistaken for asthma or mere old age – currently affects more than 920,000 people in the UK. But despite medical advances in treating many serious conditions, including cancer, experts at the universities of Oxford and Birmingham warned that the chances of dying from heart failure have hardly changed since 2000 as it ‘has not been a priority area in Government policy or funding’. Health chiefs want statins prescribed to 100,000 more middle-aged people to reduce risk of heart attacks and strokes. New targets have been launched by a coalition of organisations to improve detection and treatment of atrial fibrillation, high blood pressure and high cholesterol – three conditions that are among the major causes of cardiovascular disease and responsible for a quarter of early deaths in the UK. Led by NHS England and Public Health England, the targets suggest the number of people deemed at high risk of cardiovascular disease and being treated with statins – which reduce levels of harmful cholesterol associated with heart attacks and strokes – should rise from 35 to 45 per cent – from 400,000 to 500,000 people – by 2029. Duncan Selbie, chief executive of PHE, said: ‘Prevention is always better than cure’. Health bosses said they will encourage local authorities to promote the NHS Health Check, a national programme offered to all 40- to 74-year-olds every five years. The check-up involves assessment of cardiovascular risk factors, such as blood pressure, blood glucose and cholesterol. After examining the data for 56,000 heart failure patients between 2000 and 2017, the researchers found only ‘gradual improvements’. 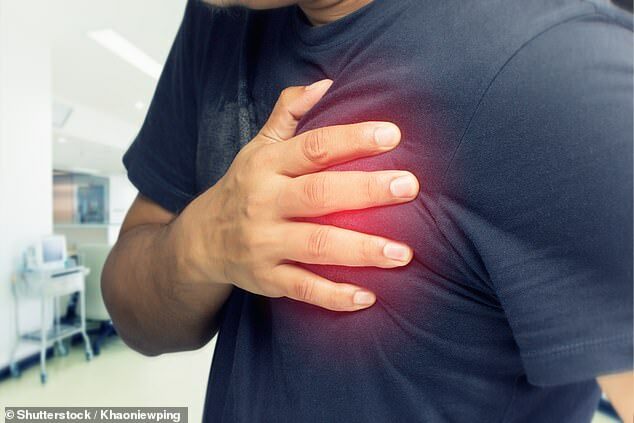 According to the most recent data, which was collected in 2016, people diagnosed with heart failure have a 21 per cent chance of dying within a year, down from 26 per cent in 2000. The chance of dying within ten years dropped from 81 per cent in 2000 to 73 per cent in 2007. Heart failure is a severe condition in which cardiac muscles become too weak to properly pump blood, leaving sufferers weak and out of breath. The report’s authors, writing in the British Medical Journal, said: ‘Heart failure has not been a priority area in Government policy or funding, and other serious conditions, such as cancer, have seen a much greater improvement in survival over time. A major report published last year called heart failure a ‘medical emergency’, with GPs missing two in three cases, significantly increasing the risk of early death. Even when patients are diagnosed they are often left for months without follow-ups, and many are given drugs at the wrong dose.